Canine specialty boutiques are "pawpular" places to shop for high-end items often not available at retail pet stores. Whether you're looking for a crystal-studded collar or the latest Jimmy Chew dog toy for your pampered pet, you can find it at a boutique. Shopping in a store that caters to people who want the very best for their dogs has not only created a successful niche market but also a wonderful social culture for dog lovers and their furry friends. Canine boutiques allow dogs to come shopping with their owners. Shopping for a new leash or a grain-free dog treat is no longer a mundane errand, but an opportunity to get out together and make friends with other people and pooches. Many of these stores hold special holiday events to allow dog lovers and their dogs to get together and "pawty." Most canine boutiques offer several types of products and experiences. Some of these stores provide services for the pampered pooch in addition to the high-end items featured. Some boutiques are housed inside dog bakeries. You can buy your dog a delicious oatmeal, apple, and chicken cookie and enjoy a fine dining experience after shopping for necessities such as a jeweled leash or a bandana that will match your favorite shirt. 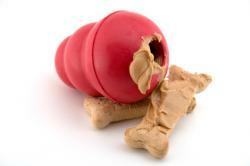 Dog bakeries usually offer organic healthy dog treats and other wholesome canine foodstuffs. These neighborhood pooch pastry shops are often the daily meeting place for dog people to socialize and network. Many dogs celebrate their birthdays at the local dog bakery and invite several of their four-footed friends to bring gifts and share some cake that is made from safe and healthy ingredients for dogs. 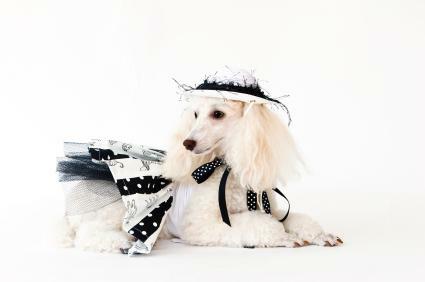 For the dog who likes to dress for success, there are canine boutiques that specialize in clothing from the practical to the sublime; there are clothes for all doggie occasions. Sometimes a dog really needs a down jacket for a ski trip with her human. Dog booties can protect tender paw pads from the blistering heat of the asphalt parking lot at the mall. Some canine clothing is just for fun--a bumblebee costume for Howl'oween, or a dashing tuxedo for barking in the New Year can be just the thing to make an ordinary occasion pawsitively unforgettable! Canine boutiques sometimes feature grooming and glamour products and services. Dogs can often get a massage and a manicure while their owners shop for just the right brush and collar bling for their dogs. Canine manicures are no longer just the trim and file of yesteryear. A dog can now have tips glued on his nails that not only enhance his appearance but protect the hardwood floors in his home and the upholstery in the car his owner bought to drive him to his social engagements in. There is no doubt that Americans love their dogs, this feeling accompanied by affluence has fueled the success of Canine Boutiques.